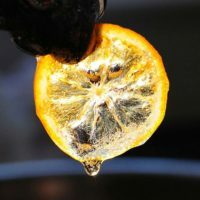 Use this Candied Meyer Lemon Recipe to create a special treat and a lovely garnish for many baked goods. First, slice lemons very thinly. I used Meyer lemons but lemons, limes, or any citrus will work. 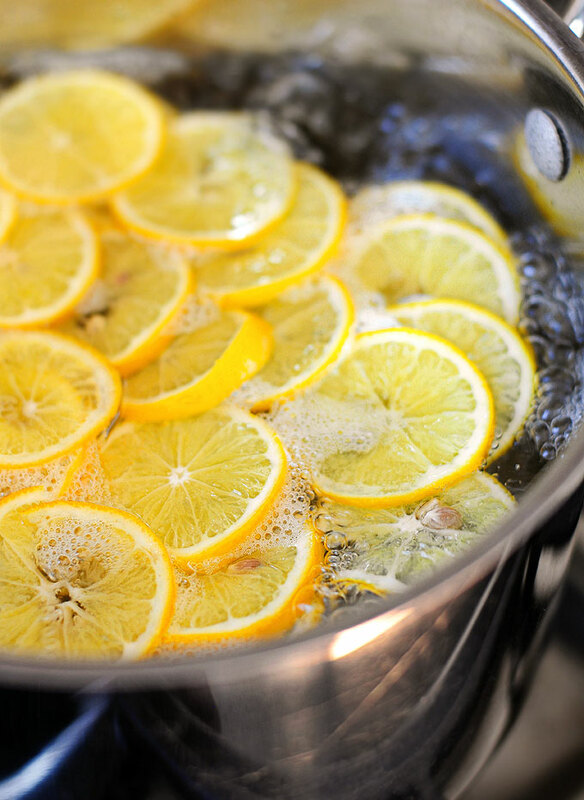 Next, begin the blanching process by bringing a pot of water to a boil and boiling the lemon slices for about a minute, the lemon slices then go for a cool swim in an ice bath. 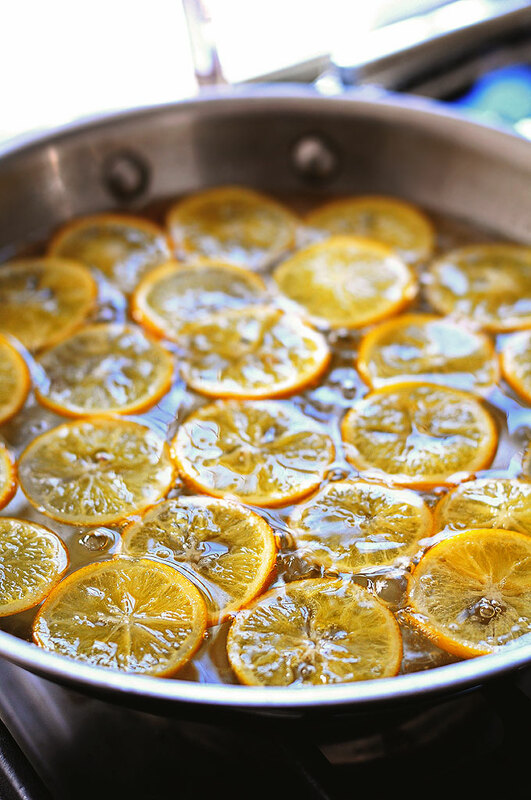 A water and sugar syrup is created and brought to a simmer where lemon slices will hang for about an hour until the rinds are translucent. They become very jewel-like-like a stained-glass window. They’re so pretty. I sure hope you enjoy these! Use these to garnish cakes or other baked goods. 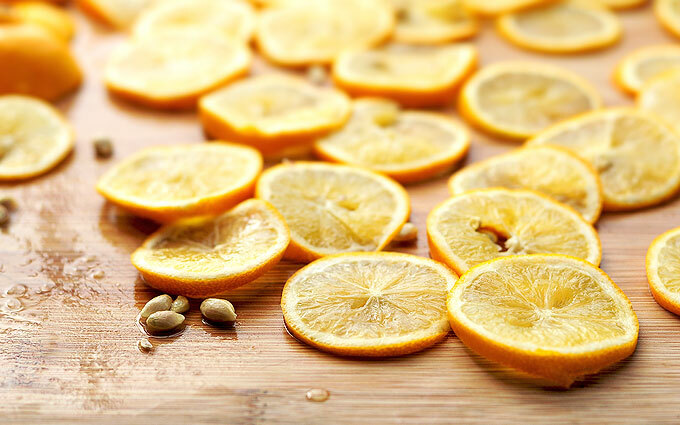 Thinly sliced lemons and remove any seeds. You should have about 24 thin slices, give or take. 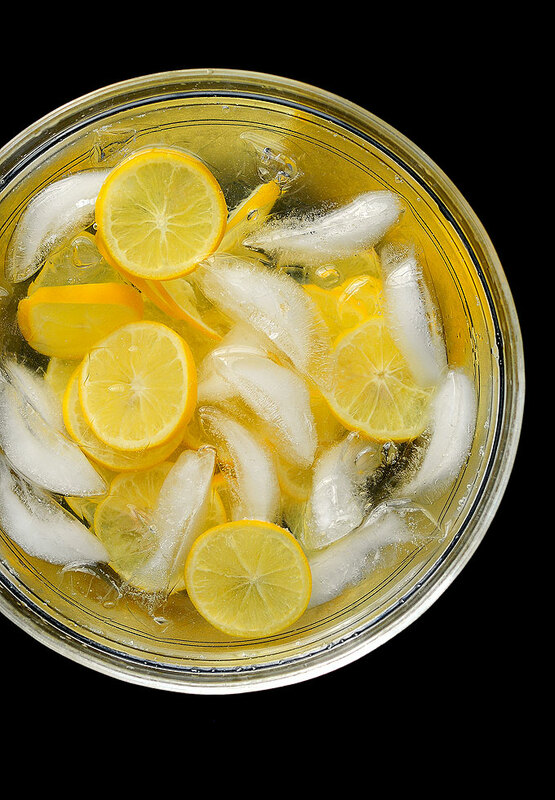 Prepare a medium-size bowl with ice and water. In a medium-size skillet bring sugar and water to a simmer, stirring occasionally until sugar is dissolved. Add lemon slices in a single layer and simmer for about an hour, until rinds are translucent. Remove lemon slices and cool on wire rack. Use candied lemon slices to garnish cakes and other baked goods. Candied lemon slices may be kept refrigerated up to one month in a sealed, airtight container. Adapted slightly from Martha Stewart. 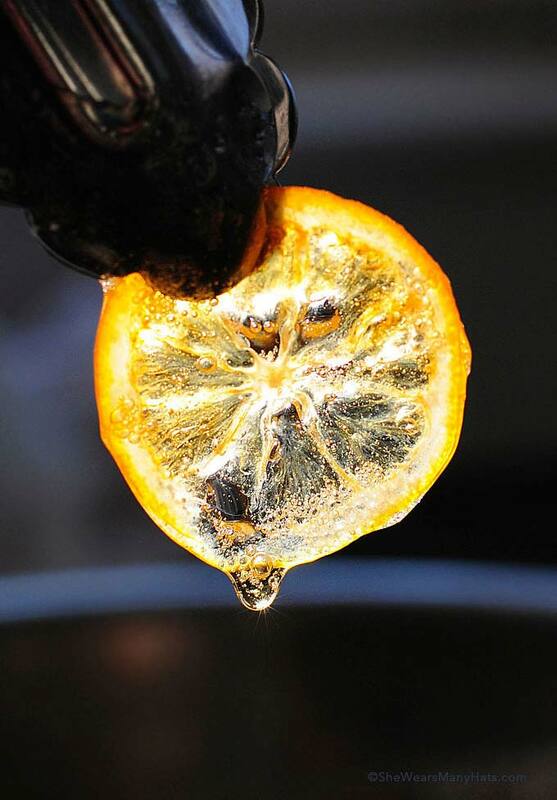 I am absolutely in LOVE with Meyer Lemons and am always looking for new ways to use them. 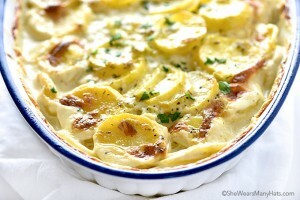 This recipe looks great and I can’t wait to use it!! These are so pretty, I can see adding these to so many things. Just pined. WOW ! These photos are just breathtakingly beautiful! And the recipe is awesome, I love love love lemons, so I can’t wait to try it! I ALSO LOVE LEMONS AND THE FACT IS THAT THEY ARE GOOD FOR YOU, FOR THE SKIN AND HAIR ALSO IT KILLS BAD BACTERIA IN THE BLOOD, I daily slice a big lemon and slowly eat it every time I pass by it. 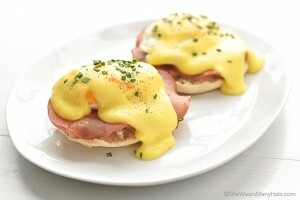 Will try this recipe very soon. These lemons are just gorgeous! There is just some many uses for these! These lemons are just stunning! First of all, these little babies are so pretty. But secondly, they wouldn’t last long enough to look at around here because I would eat. them. all. I bought a Meyer lemon tree this winter to grow on my windowsill. It is blooming now and the whole house smells wonderful! There are tiny lemons forming at the base of the flowers. Oh I hope I get full grown lemons so I can try this! Your photos are gorgeous, by the way. Oh! I want one too. That has got to be the coolest—to be able to walk out and pick a lemon. Lovely! Oh my. That top photo with it’s little glint of light on the drip is perfection. You should sell prints of this entire post. I need some lemon love in my life. You’re so sweet. I need more lemons in my life too. They make me happy! Any ideas on how to use the leftover lemon syrup? Thanks for any suggestions! Then coated them with sugar in baggie and froze on cookie sheet. I have these little babies all summer. What a great idea, Lenora! I bet they are gorgeous coated with sugar. I just can’t get over that drippy candy falling off that slice!! I have got to try this ASAP! If I want to cut these in to 4 pieces, should I do that before or after they are candied? I think before would be easier. They get pretty sticky. I believe that the blanching rids any bitterness that might be in the pith. These photos are STUNNING Amy! I’m trying this now! My husband loves anything lemon. Is there left over lemon infused simple syrup? Any ideas what to do with it. It seems a shame to throw it out. I pinned a recipe for lemon crepes, I could use it on that I guess. Thanks for the recipe, they are stunning. Crepes would be nice as would drizzling over pancakes or whipping into cream. 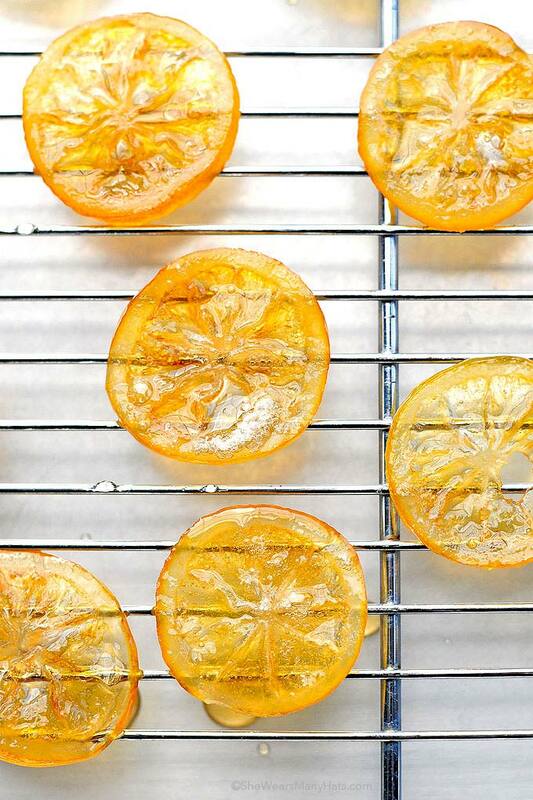 I was wondering if these candied Meyer Lemon slices could be made to hardened, like a hard-version candy? If so, would you know what next would be done to get them to the hard candy texture? I’m not sure as I haven’t done that before, Tracy. I made candied lemon peel last winter, from a Martha Stewart recipe. 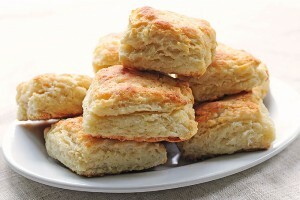 The recipe instructions are similar to this and then you bake them at a low oven temp (approx 180 – 200°) until they are a sort of sticky dry, if that makes sense. So if you bit into it it’s still chewy and sticky. If they’re too dry then they’re crispy and crumbly. So maybe in the oven or a food dehydrator would work.